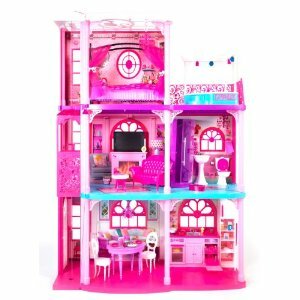 This is out of stock at Walmart.com for $131 but Amazon still has the Barbie 3-Story Dream Townhouse for $99.99 shipped! You may also want to check out these 10 Pairs of Doll Shoes that fit Barbie for $5.95 if you are always losing shoes like us! how do I get this for 99 because every time I click on the web site it does not let me ck out for that price. what am I doing wrong? Sorry that you stumbled upon a post from 2012, which is why the price is no longer the sane. Thanks and sorry for any inconvenience.